Pyrotec Fire & Security can provide a reliable and cost effective inspection and testing service for your property or organization. 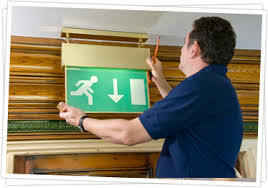 We use fully qualified engineers, experienced in the design, installation & testing of emergency lighting. In this way we are able to ensure that your system complies and is kept in full working order, whilst causing the minimum disruption to your organizations routine.